I've recently been reading a lost of Pat Flynn's fantastic Smart Passive Income blog and listening to his equally great podcast, both of which I highly recommend. He's inspired me to actually go ahead and start a project that I've had kicking around in my head for a while, and over the weekend I signed up for a Bluehost account on his recommendation. I want to warn anybody who is thinking of purchasing hosting from Bluehost, their ordering process is questionable at best, and downright deceptive at worst. The first thing you see is a large screen telling you that hosting is $5.95 per month with "no hidden fees" and an "anytime money back guarantee". Sounds great! Let's click through and get going! On the next screen, you choose the domain that you want to use. No problem here, type it in and click Next. Under Package Information, you default to "24 Month Price - $5.95". The other options are "12 Month Price - $6.95" and "36 Month Price - $5.95". If you assumed, as I did, that you'd be paying monthly, these pricing plans make no sense...it sounds like you're entering a contract for a certain period of time. But that can't be right, there's an "anytime money back guarantee", how can there be a contract? Because the default is set to "24 Month Price - $5.95" and because they got you there by advertising $5.95/mo, I guarantee you that a ton of people think they're being charged for $5.95 when in fact they are being charged $148.75. I switched the drop down to "12 Month Price - $6.95", entered my card information, and then clicked "Next". Now if you've ever bought anything online from a reputable company, the next thing you will see is an order confirmation page with a summary of your order, the full amount that you will be paying, and some sort of "Purchase" or "Complete My Order" button. Bluehost doesn't do any of that. When you click "Next", they charge your card the full amount without ever telling you exactly what that amount will be. I was shocked to see this screen saying I was done, and that I was just charged. 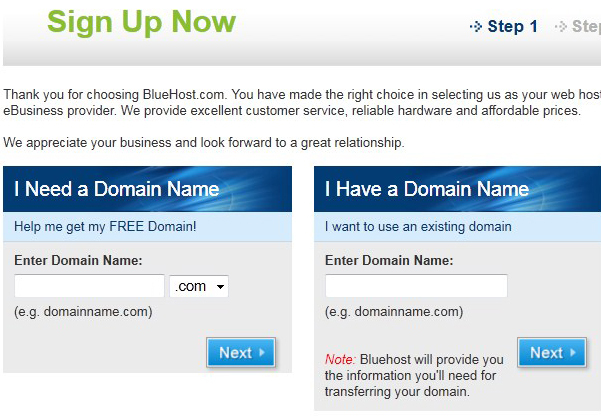 That was my first impression of Bluehost, and it left a REALLY bad taste in my mouth. I'm sure that they're doing a ton of additional business by removing one entire step from their flow, but it's kind of an important step. Their current system is deceptive and should be changed. It's just not right. In the interest of fairness I do have to say that once the initial shady transaction was completed, everything was INCREDIBLY easy and well thought out. As someone who's only installed WordPress in the past via manual FTP and creating a database, setting it up with one-click on Bluehost was a breath of fresh air. The cPanel backend has pretty much everything you would ever need to start any kind of website let alone for a simple blog. And I've seen Bluehost recommended in so many different places that I have to assume that their uptime and customer support are excellent. 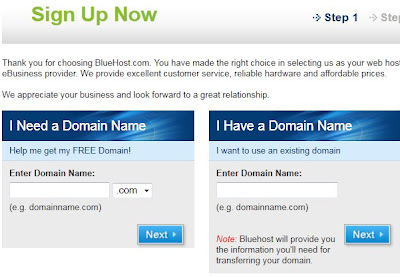 So if you want to get hosting through Bluehost, go for it. They're inexpensive and reliable. 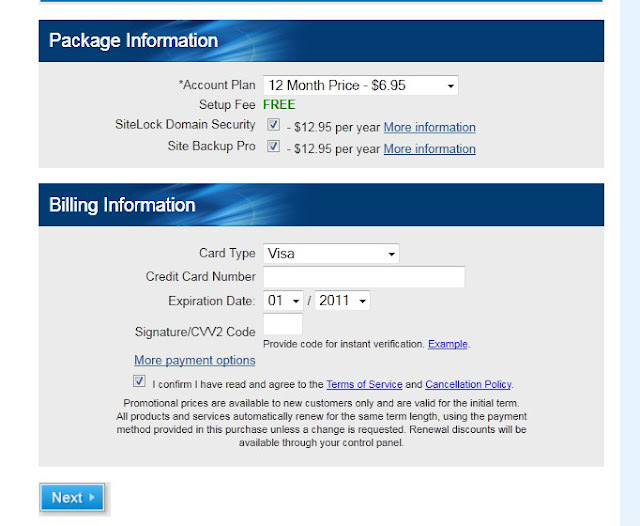 Just make sure you fully understand that you're paying all of the hosting up front! Exact same thing happened to me... utterly ridiculous. Not to mention my site either won't load or is incredibly slow most of the time. That 20000 new customers a month has to be a lie. 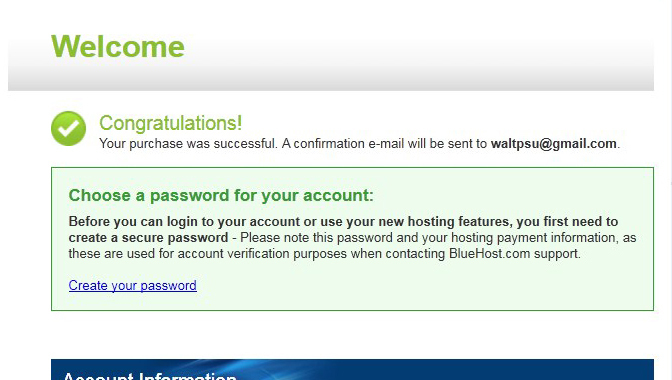 Whatsup, a thank you for clearifying this question about how Bluehost takes your money. I have been trying to find out this for a week or so. In all of Bluehost's FAQ's this doesn't come up. It is a not a quality approach to establish a relationship with new customers, not be straight forward on this subject. Thanks.